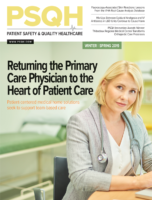 This member-only article appears in the February issue of Patient Safety Monitor Journal. It’s not news to most providers that suicide and drug abuse are on the rise. However, a trio of reports from the CDC have shed light on the extent of the problem. In 2017, American life expectancy dropped for the third year in a row, with the main culprits of the decline being drug overdoses and suicides. There was a grand total of 2.8 million deaths that year—69,000 more than in 2016 and breaking the U.S. record for most deaths in one year. Of those deaths, 70,237 were drug overdoses and 47,000 were suicides. The research shows that a baby born in 2017 had 1.2 months shaved off its life expectancy compared to one born the year before (78.6 years from 78.7). In the short term, the research suggests current efforts to combat suicide and drug overdose problems have yet to bear fruit. Providers, therefore, should expect to treat even more drug abuse and self-harm injuries in upcoming years. This information was published in three November 28, 2018 CDC reports: one on suicide mortality, one on drug overdose deaths, and one on mortality overall. “Life expectancy gives us a snapshot of the nation’s overall health and these sobering statistics are a wakeup call that we are losing too many Americans, too early and too often, to conditions that are preventable,” CDC director Robert Redfield, MD, said in a public statement. While drug use increased in all age groups, overdose rates were much higher for those ages 25–34 (38.4 per 100,000), 35–44 (39.0), and 45–54 (37.7). Men are more likely to die of an overdose than women. CMS and other healthcare organizations have made efforts in recent years to reduce ligature risks and patient suicides, including new requirements, resources, and training. In November 2018, The Joint Commission released a new R3 report on improving suicide care.